The Greenstone Digital Library software provides a way of organizing information and making it available over the Internet or on removable media such as DVD or USB thumb drive. It is open-source software, available under the terms of the Gnu public license. Project members are actively working on techniques for creating, managing, and maintaining collections; extracting metadata from legacy documents; analysing library usage and user needs; Maori, Arabic and Chinese language systems; internationalising the library interface; music information retrieval; novel interfaces for formulating queries and visualising results; novel interfaces for browsing metadata; text mining for keyphrases, acronyms, and other metadata; keyphrase extraction and phrase-based browsing; and other research topics. Greenstone is a semi-precious stone that (like this software) is sourced in New Zealand. In traditional Maori society it was the most highly prized and sought after of all substances. It can absorb and hold wairua, which is a spirit or life force, and is endowed with traditional virtues that make it an appropriate emblem for a public-domain digital library project. Its lustre shows charity; its translucence, honesty; its toughness, courage; and the sharp edge it can take, justice. 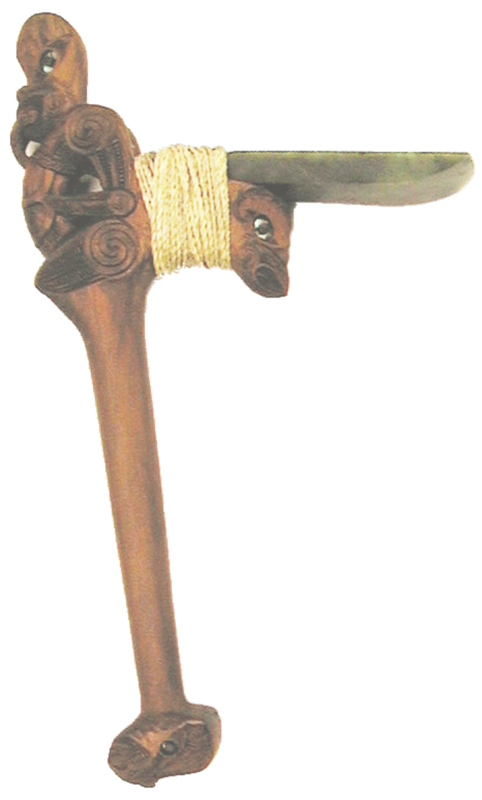 In November 2000, a toki pou tangata (greenstone adze) was presented to the New Zealand Digital Library by Māori, to acknowledge the important work being done on taonga (treasure) such as the Niupepa Collection. The toki was carved by Bernard Makoare of Ngāti Whātua and Te Rarawa descent. The toki is to symbolize the significance of pounamu (greenstone). It is to inspire the work that is being done here with qualities of mana, authority and leadership. It is a tough stone, a connection to be made. It is to be used to carve out and guide the excellence of thought that is harvested in the New Zealand Digital Library. Haramai te toki, haumi e, hui e, tāiki e!